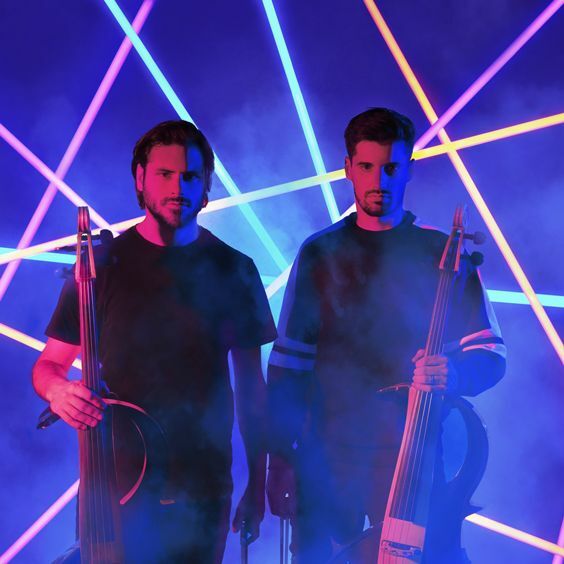 Young Croatian cellists Luka Sulic and Stjepan Hauser, together known as 2CELLOS, have achieved sensational success by taking cello to a new level. Their playing style has broken down the boundaries between musical genres, from classical and film music to pop and rock. 2CELLOS have no limits when it comes to performing live and are equally as impressive playing Bach and Vivaldi as they are rocking out AC/DC. 2CELLOS rose to fame in 2011 when their version of Michael Jackson’s “Smooth Criminal” took the world by storm. The YouTube video became a massive viral sensation leading to a record deal with Sony Masterworks and an invitation to join Sir Elton John on his worldwide tour. 2CELLOS have also appeared on major TV shows such as The Tonight Show with Jay Leno, The Ellen DeGeneres Show, Monday Night Football in the USA, the UEFA Champions league final in the UK, were the first instrumental act to perform on the hugely popular series GLEE, and were broadcast to over 1 billion viewers as part of China’s CCTV New Year’s Gala in 2015. Their huge success in Japan was crowned with the Golden Disc Award for their second album IN2ITION and as a result, 20th January has been officially certified as a ‘2CELLOS Day’ in Japan by Japanese Anniversary Association. Sulic and Hauser have played the cello since childhood; Sulic graduated from the acclaimed Royal Academy of Music in London, and Hauser from the Royal Northern College of Music in Manchester, both in 2011. Sulic has won a series of top prizes at numerous prestigious international music competitions including First and Special Prize at the VII Lutoslawski International Cello Competition in Warsaw (2009), First Prize at the European Broadcasting Union “New Talent” Competition (2006) and First Prize at the Royal Academy of Music Patron’s Award in Wigmore Hall (2011) among others. Hauser has worked with acclaimed classical artists such as Mstislav Rostropovich, Bernard Greenhouse, Mennahem Pressler and Ivry Gitlis, to mention a few. He has collected no less than twenty-one first prizes at the national and international music competitions and performed twice for Prince Charles in Buckingham and St. James’s Palace. Their latest album CELLOVERSE was released in January 2015 and debuted at No. 1 on the classical and crossover charts worldwide. Across this and their albums 2CELLOS (2011), IN2ITION (2012) and numerous side projects, they have collaborated with a huge range of artists, composers, and producers including Elton John, George Michael, Zucchero, Steve Vai, Lang Lang, Red Hot Chili Peppers, Queens of the Stone Age, Andrea Bocelli, Zubin Mehta, T Bone Burnett, Bob Ezrin, Humberto Gatica and James Newton Howard.